DJK Interiors were contacted by the owners of this relatively new property in Buckshaw Village, Chorley. As with many new builds, It was felt that the house was lacking in individuality and a period of customising was required in order to reflect the personality of the client. The living room originally had a very small cassette style gas fire in the middle of the largest wall. Not only was this too small for the room aesthetically, it was ineffective and therefore unused. 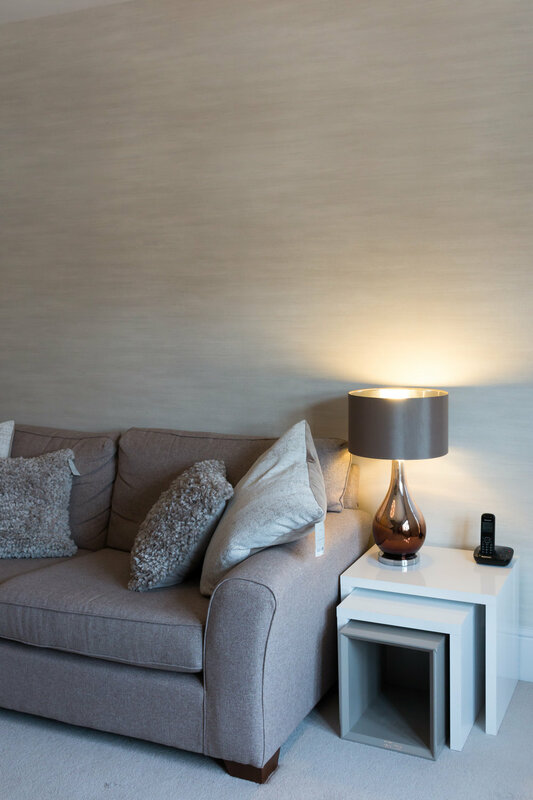 The client wanted to create a more defined look, one that evoked a much more modern and sumptuous feel and a sanctuary that they could home to and relax in after a hard days work. Following consultation, a mood board was created. This was then approved and we looked in a ittle more detail at wall coverings, and window finishes. 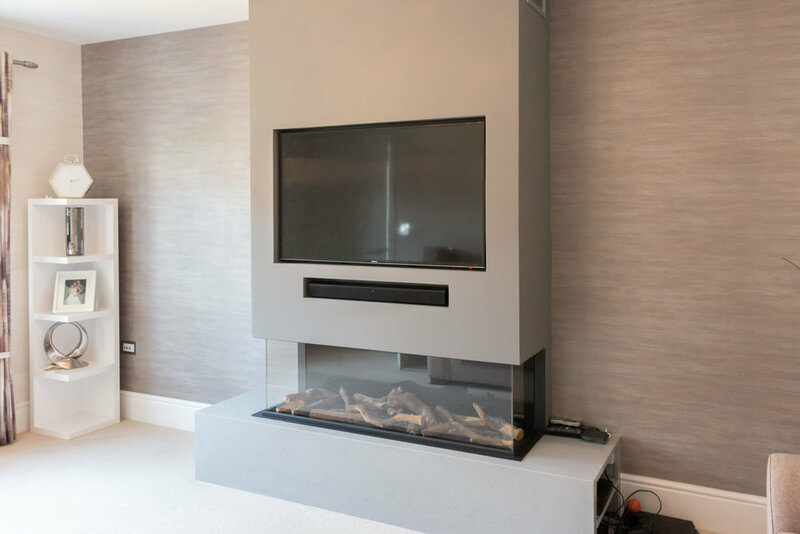 The feature fireplace was also decided upon and a date for installation confirmed. 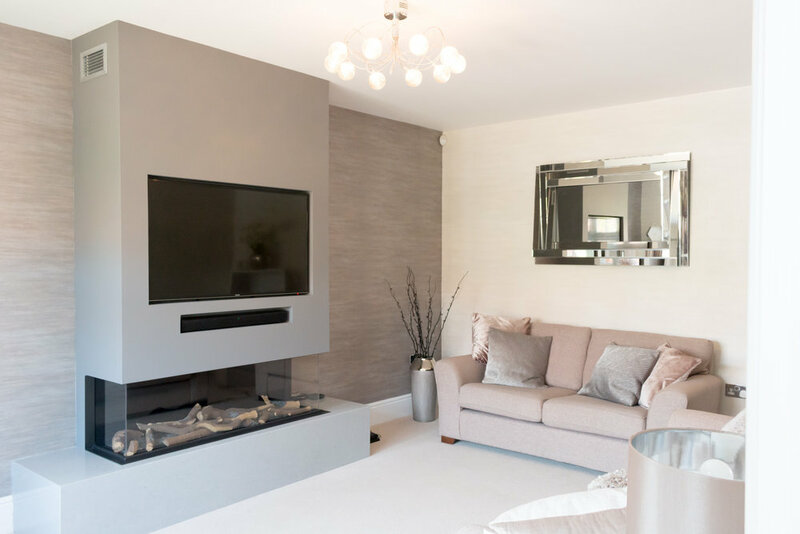 Once the fire had been fitted, the decorating took place (which was also completed by DJK interiors) and finally the curtains were fitted and the accessories completed the look. Mood board delivered to the client highlighting the potential colours and textures to be used as per the client brief.